Lovely oceanfront 2nd floor unit totally upgraded and showing beautifully. 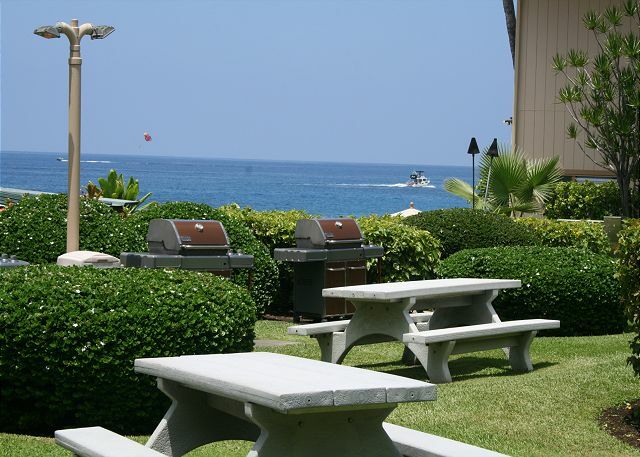 Lanai seats four for outside dining with fab views of Kona Bay and those unforgettable Kona Sunsets. 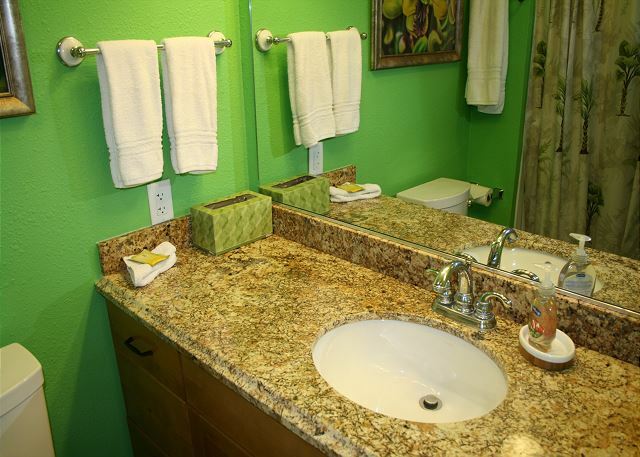 Very popular vacation complex with Oceanfront Pool and Hot Tub, BBQ and Picnic grounds. Watch the dolphins frolic and whales in season from the privacy of your Lanai. 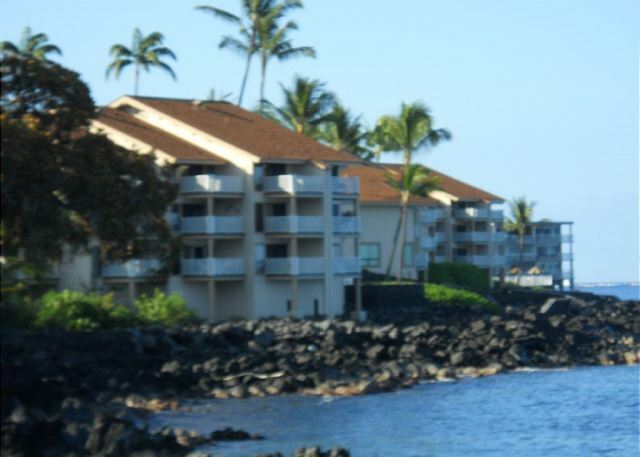 Conveniently located just minutes from downtown Kona, Shopping, and Fine Dining Restaurants. There is a stand alone A/C unit in the living room. Good for immediate area but not for entire unit including bedrooms. Sea Village is a non-smoking project. Smoking is not allowed inside the units as well as anywhere within the project. Amazing view, Sounds of the surf, Cool breeze, Clean well maintained spacious condo, Close to town. We will definitely be going back. Watched sea life from the Lanai every morning. Magic Sands Beach 2 min. north by car. So fun! Place was well equipped. comfortable. Enjoyed the lanai table and chairs. It was pretty well cleaned but more time should be taken with details such as dirty fan in bedroom, drawers not great in kitchen and the sink was quite dirty, and there is an ant problem throughout the condo, even in the bathrooms which was a problem daily. We have been to Kona many times and do enjoy the village a lot, the open air market, the variety of place to eat, and all the small towns both north and south along the coast..Keokies is a favourite place for fish. Snorkel beaches are great. The property was very nice and clean with gorgeous view of the water. We visited in August so it was quite hot with only a small air conditioner that we didn't use that much. There were fans in each room so that helped. It was as described - very well stocked kitchen, bathroom and beach toys. The unit is on the second floor so there was some noise from upstairs. Great location just south of town - was a great home base as we explored various parts of the island. The grounds and pool are very nice and well maintained. Many beaches nearby - we did a lot of snorkeling (beautiful, warm water with lots of amazing fish and even a small octopus)! The property manager was slow to get back to us and we had to ask twice for check-in details. They returned a phone call a week after we got back home! Overall it was great and I would recommend this property to others. We had a wonderful stay at Sea Village. The condo was clean, and the kitchen was well stocked with all the needs a chef could want! Our favorite room was the Lani. The view of the ocean, waves, Dolphins made it difficult to leave and explore the rest of the island! Mahalo nui Wayne for being being prompt in answering any questions we had. Great condo with fantastic view from the lanai. Very convenient to Kona. Need the ocean in your ears...20 feet away. Need boogie boards, noodles, umbrellas, chairs, snorkel the closet. Need spices, olive oil, information, laundry soap...look around. This place was well cared for and well outfitted. The location was just great. About a 10 minute walk from town and the views were ridiculous. Someone pinch me. 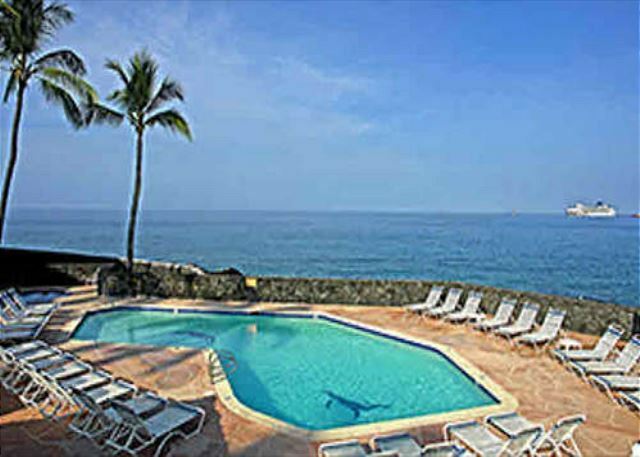 Il was our 6th stay in Kona and this rental unit is the one we preferred because of the great location, the wonderful view from the balcony (oceanfront), the general comfort (furnitures, beds, etc. ), the cleanliness and full equipment for meals and cooking (enough plates, glasses and ustensils for daily meals for 6 people). We will definitely be returning to Kona in 2019 or 2020 and we intend to rent again at the Sea Village. We would without hesitation rent the same unit, but at that time we will only need one room. So we hope to find a unit with the same view and the same amenities! The unit is where the lava meets the ocean!! Great for whale watching!! Clean! Fluffy white towels. My husband couldn’t believe how well stocked the kitchen was. Every cooking utensils u could think 🤔 of. Spices and olive oil. Any cleaning supply you might need. Great washer and dryer. Some teeney ants 🐜 so had to wipe up and put food away and then the ants would go away. Not a big problem. The master bathroom light was filled with flies so that was yucky. And I didn’t realize there was no elevator for an old fat lady like me. Nice pool area and hot tub. Nice barbecue area with tables and lights. Used the fans often. Very nice stay. No kick boards or noodles at pool. Parking was easy. Terrific two weeks on the Big Island. Second floor unit right on the water looking north toward Kailua-Kona. Great Location! Looked just like the pictures on internet! We had a wonderful time in Kona at Sea Village 1-205. It did get a little warm at night so had to open windows to get a cross-breeze, but there was noise from people talking and walking right outside our window late in the evening and was woken up more than a few times. The condo supplied lots of things in the closet, no need to buy chairs, towels, hats, etc!! It would be a big asset to the condo if it was updated in the bathrooms, and the carpet was gone! It was hard to keep clean, and there were two carpet cleaners in the bedroom closet, but no vacuum! I would definitely return to Sea Village, our friends were staying in another unit that was updated, and done VERY nicely! I would for sure recommend Sea Village to all of our friends and family! Best Family Vacation Ever-Hope to Return! 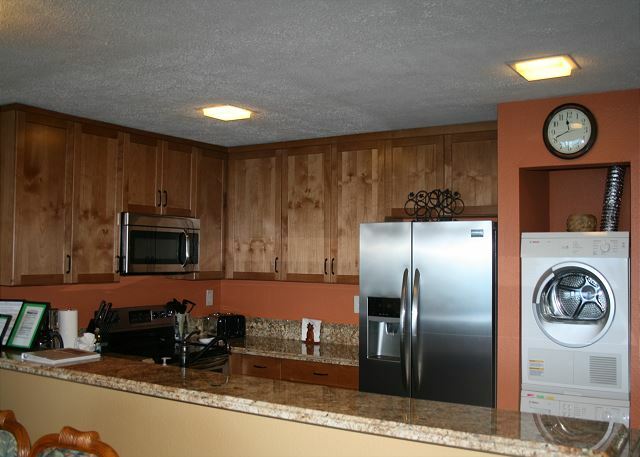 The condo was in beautiful condition, newly refurbished and in great shape for a 2bd/2bth ocean front unit! We had a wonderful time in Kona and your condo was a comfort and a delight. It was great. We especially loved the view from the lanai and the big dining room table. This location was perfect for our week in Kona to watch the Ironman. 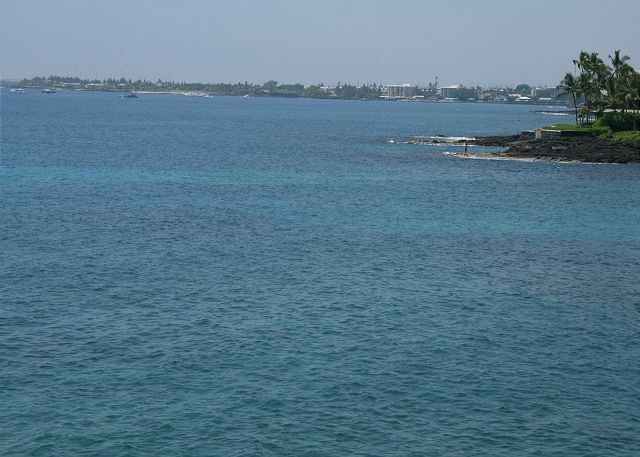 It has a great ocean view and is just a short drive from a couple of small beaches and downtown Kona. The pool area is nice and pool temperature was great. The unit updated with newer appliances and furniture. It was a good size for our family of 5, 2 adults and 3 children. Could easily work for 2 couples as well. It is well stocked with kitchen supplies and even a few essential spices, which I really appreciated! As mentioned in other reviews there is limited AC and it was a hot week when we visited. Best advice is to embrace the heat and open all the windows and turn on the fans, ocean breezes helped get the air moving through and we adjusted after a couple of days. Thanks for a good rental, we would definitely return in the future. The condo was clean and up to date. Very spacious and we had a Beautiful view from the Lanai. Very much appreciated the beach gear, snorkeling stuff, water shoes, etc. Overall the condo view is excellent looking into the bay. the unit came with a standup air conditioning unit which was needed during the day. 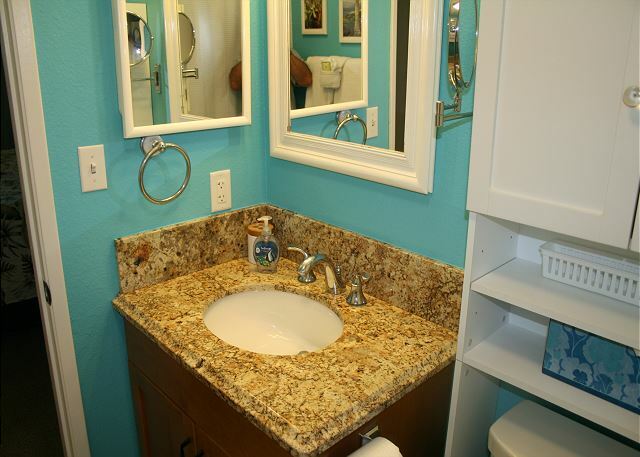 The condo unit was updated with some nice features such as granite counter tops. * Maggots were coming out of the shower drain. this should be addressed immediately. * Blinds should be added to the sliding door as this would reduce the need for the air conditioner. * The room book didn't have the correct network password so we lost a day waiting for someone to tell us what it was. Our party of four loved the condo situated right on the water. It was well equipped, clean and in great condition. We had a great vacation experience on the Big Island. Went to the volcanoes and to the ranch country of Waimea. The condo we rented worked out perfectly. There were 2 couples and we had plenty of space, plus the ocean was right off our balcony. Condo had everything we needed and we grilled several times on the gas grills.Great vacation. Great stay at Sea Village in this second floor condo right on the water. Dolphins nearby on many mornings and view looking north to Kona. Sea Village is a great property to stay at and this unit did not disappoint. We look forward to another trip to the Big Island soon. This was an awesome condo. Very well equipped with many of the staples already there. Extremely clean and updated. Loved the AC in the main living area for the hot afternoons. The bedrooms did not have AC, but with the fans provided the rooms were quite comfortable at night. Will definitely stay here again when back at the Big Island. The accommodations were better than we expected. The condo was a lot larger than it looked on the website. It was clean and comfortable. The surrounding grounds, pool, and picnic area were a great extra. The staff were very friendly and helpful. Overall a very positive and pleasant experience. Very clean and well stocked Condo. We enjoyed our stay here. The A/C was adequate for the living room and the fans were fine for the bedrooms. My only suggestion would be to have a curtain on the living room window/door so that you can keep the place cooler when not inside. Great Two Week Stay with Amazing Views! We had a great time at this unit. The condo was totally stocked (spices, cooking utensils, condiments, snorkel gear, etc), and it was great not having to pickup those items just for the trip. The view from the lanai was everything we could have hoped for. We watched the sunset, and frequently awoke to dolphins playing in the bay. Additionally, you really couldn't beat the location. Far enough from the main strip of Ali'i Drive to keep it quiet (and an easy in and out) but close enough that it was a quick drive or a even a walk. Another HUGE plus was the AC. We talked to a decent number of people in the pool (which was never crowded), and everyone was complaining about the heat. Whole unit AC would have been ideal, but we had no problems with the unit in the living room and the amble amount of fans provided. As with anywhere in Kona, expect a bit of a drive to the main beaches (Kohala coast), but we found great local snorkeling and Magic Sands Beach was close and nice. The only negative about the unit was that we thought the complex looked a little dated (big deal... it's the outside). And, sure enough, during our stay they started working on redoing the exterior of some of the buildings. Luckily the construction didn't bother us, and looked to be going at a fairly quick pace. We're planning on trying another island for our next trip to Hawaii, but I wouldn't hesitate to stay here again if/when we return to the Big Island. We specifically researched VRBO with A/C. This unit had a stand alone A/C unit that barely cooled the living room only. It didn't touch the bedrooms. Because of the heat, we couldn't sleep and didn't feel like we could cook either. If the A/C was adequate, this would have been a top notch unit. Great location and unbelievable view! We loved our five day stay. We felt very at home and the condo had everything we needed. The location was great, the complex was very nice and the views stupendous. we had a great experience.the condo was clean and very well stocked.the view from the lani was beautiful. Patrick R from Reno, NV does not recommend this vacation rental. This is a great place right on the waters edge. Everything was great except the mattresses were worn and too soft and need to be replaced. I would not recommend to a friend only because of the beds. This place has never failed to disappoint. The condo is clean, comfortable, has all the basic kitchen necessities, if you choose to cook. There is a small stackable washer/dryer in the kitchen, so PACK LIGHT!! 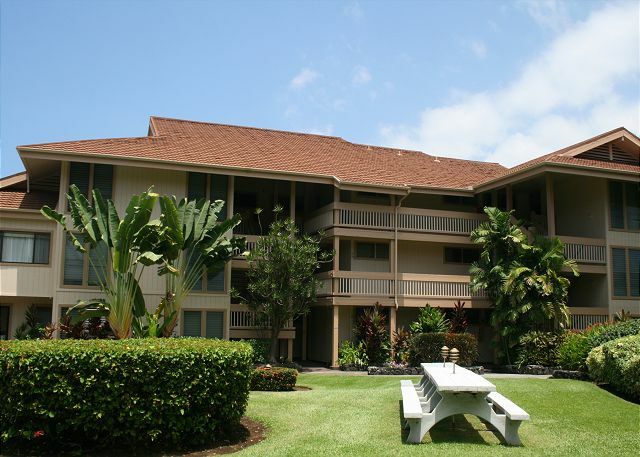 It's an easy walking distance to Kailua Village for many food/beverage choices and shopping. We were particularly fond of the Kona Canoe Club, Splashers, Don's Mai Tai Bar, and Bongo Ben's. We enjoyed sitting on the lanai and watching dolphins playing, an occasional whale-sighting, watching the surf crash on the lava rock below, and watching the "Locals" boogie board and knee surf. We REALLY enjoyed "Annie's Burgers", which is a short drive south to Keauhou, we explored and found a couple small beaches and got great pictures of turtles. 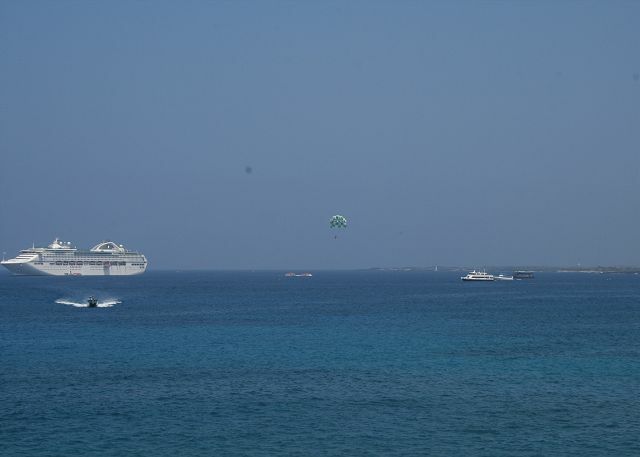 Splashers Ocean Adventures was a wonderful swim with the dolphins excursion, UFO Parasail is also a great experience. You can really do as little, or as much as you want... 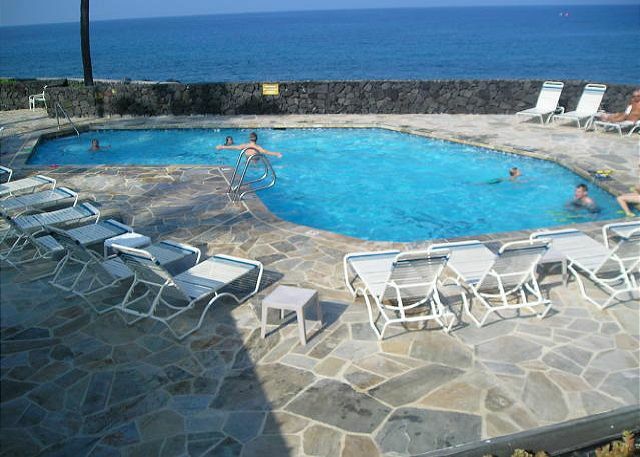 There is a cooler, chairs, and boogie boards available from the unit, so you can plan longer road trips to South Point, the Green or Black Sand beaches, Volcano...or head up N to Waimea and Hapuna Beach. I feel like, if you don't have fun, it's your own fault!! HA HA! The common area at Sea Village is very nice. High surf during our stay made the pool area feel pretty crowded, as area near the sea wall had to be taped off for people's safety, but generally, other vacationers are very polite. We didn't have any need for on-site property manager services, but there was always someone around, and always friendly in general. We look forward to an opportunity to go again!! This vacation rental is a perfect combination of amenities, location, and price. The apartment kitchen is beautiful and thoughtfully stocked and we were able to have a special Chinese New Year meal around the dining table. It is amazing to hear the ocean right outside and the view couldn't be better. 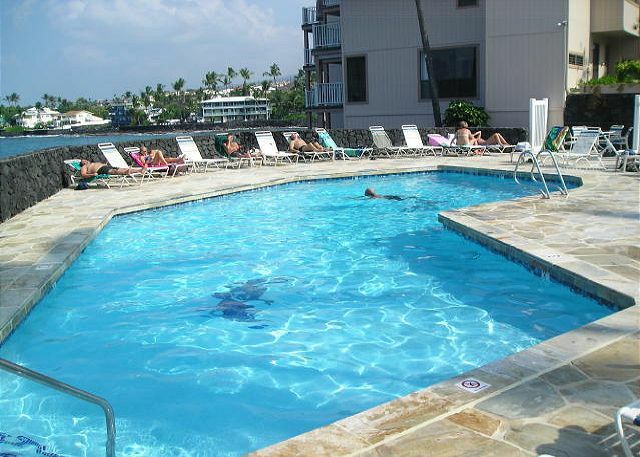 A sandy beach is a 10 minute walk away and the pool is right on the ocean, and around the corner of the unit. We loved walking to Huggo's and eating dinner during sunset at the oceanfront bar lounge. Would definitely stay again next time we are in Kona. Thank you! This was our fifth stay at Sea Village and it was one of the best. The condo was nicely furnished and had everything you needed for your stay. Our 2nd time staying at Sea Village, due to location, location, location. Both times we picked ocean front condo's and for the price can't beat it. This time July-August 2015 they have renovations ongoing that if you are staying there during the day 8AM to 5PM, would be a pain with the noise. We didn't too much to do on the big island. Next time we will be back to Sea Village will be for a winter vacation, as this summer was way too humid. We've been to this property several times and it does not disappoint. The living area is comfy, the kitchen has everything you need and more, including a view of the ocean!! We watched whales and dolphins while enjoying the surf crashing on the lava rock below. Property is beautiful, pool area is great with lots of seating available. Love the closeness to town for walking too. There were four of us staying in the condo, it was perfect! The view was incredible, the complex was clean and quiet, the unit was clean and had all the extras. We would definitely stay here again! I had a great stay and am already trying to book my next trip. Very good experience. Would recommend. The follow up from Wayne was excellent. The facility is clean as a pin and very well kept.Enjoyed our stay and would love to come back. This was our 2nd visit to Sea Village. It is so conveniently located to town, that walking is easy. The kitchen is well stocked if you're inclined to cook. It's comfortable and the view from the lanai is terrific. I would not hesitate to recommend this unit. Having breakfast on the lani just 25 feet from the crashing waves was the best. Appreciated the haveing A/C at night for us cold climate folks. The unit was very clean, well appointed and the beach chairs and boogie boards came in very handy. We had a great time. We were very pleased with the comfort of the condo along with all the extra (and unexpected) amenities. The location is wonderful - brilliant views, crashing waves, plenty of parking, good neighbors and a relaxing environment. We would definitely stay here again. This condo was a lovely, comfortable home, tastefully decorated with a beautiful ocean view - so close you can hear the waves crashing on the shore. The surrounding property and pool were well maintained. Quiet hours were respectfully followed. I would definitely stay here again. This is our 4th or 5th time staying at this condo. The Sea Village is the perfect location as you not only have an ocean view, but a view of the coastline too. 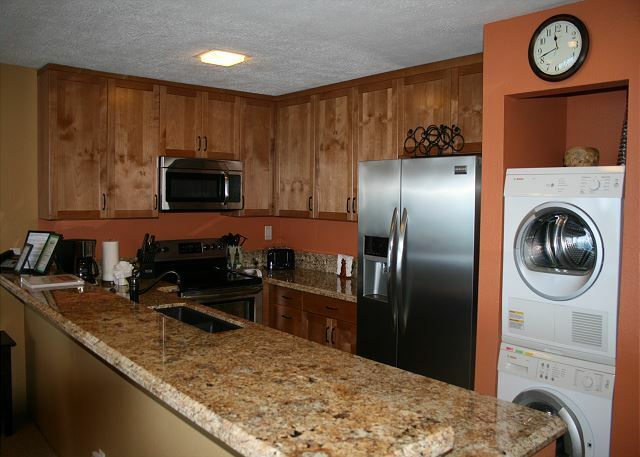 Property is consistently clean and very well taken care of ... both inside and out. Highly recommend! This was our 1st visit to Kona and we're already planning a visit for next year. The grounds are lovely. It's a very nice walk to town. Hawai'i is so big, there just wasn't enough time do all we wanted. 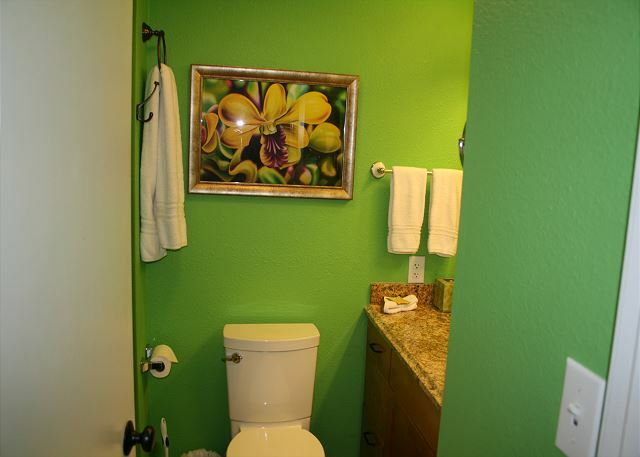 The condo is VERY comfortable and is equipped with anything you need. We had a little trouble with the Wi-Fi connection, but Travis (on-site manager) was very prompt and took great care of us!! Thank you for all the aloha!! We had an awesome time at Sea village. 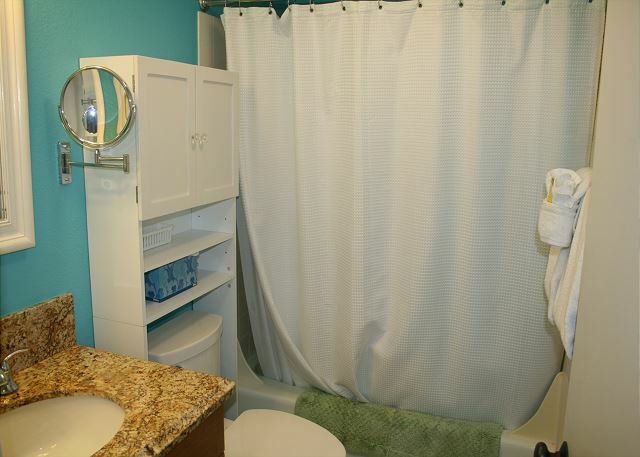 This unit is large, clean and has everything that you need. The beds are very comfortable. The property has brand new bar-b-ques. the pool is great. There are many repeat people who come hear and everyone is very friendly. Wayne is excellent to deal with. He went out of his way to help me. We hope to return to this property in the near future. Beautiful Condo on the water in Kona. We were delighted with this condo, it's location,the condition of the premises, the kitchen equipment, and furnishings. Wayne Twitchell and his staff made sure we were looked after in both a professional and efficient manner. Great vacation, you won't be disappointed! We enjoyed everything about our stay. Travis, the manager on site is the best! Always ready to help, going above and beyond. This was our 2nd visit and we are already looking forward to next year. First time travelling with our 4 year old daughter and was very happy with the accomodation at Sea Village. This unit is so well equipped that I literally just needed my clothes and toothbrush. From childrens beach toys to a potato masher, it was stocked to the nines. The ground were kept very clean and the pool and BBQ area were perfect for us. Watching the dolphins from our deck in the morning while drinking our coffee was a perfect start to the day. Shopping and beaches were minutes from our door....all in all, VERY IMPRESSED with the this company, easy check in and check fuss and ALL FUN. We've rented many Condos. This more like your own than a rental. The kitchen is stocked like a home. Seasonings, condiments, foil, wrap, bags, filters etc. are all present. There is a cooler, snorkel gear and binoculars. The air conditioner is after market and not effective for the bedrooms but there are three fans that move the air in addition to ceiling fans. The pool is great and you don't have to fight for lounges, also plenty of umbrellas to stay out of the sun. The BBQ grates are cleaned so fish doesn't stick. The condo is located close to town (a nice walk) and central to many local attractions. We enjoyed breakfast each day and several dinners on the Lanai, listening to the waves and relaxing. The unit was well appointed with everything we needed for cooking and relaxing. Great internet access. 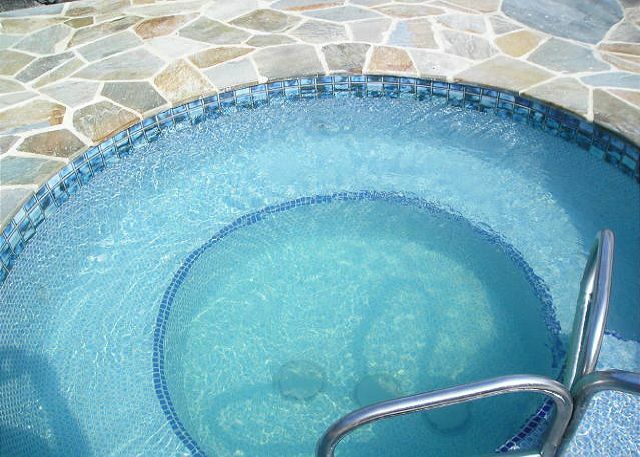 The pool and hot tub were close and in great shape. 1205 was a lovely condo with a view of the ocean. Enjoyed our time there. Sea Village was well maintained with beautiful grounds. The large BBQ area with several Weber BBQs was appreciated. Unfortunately the 10pm quiet time was seldom adhered to, and there is no one there to enforce the rules. Also several guests ignored the no cell phone use in the pool area. We would not likely go there again over the Xmas and New year holidays, as it was very busy with lots of little kids and teenagers on xmas vacation. The pool area was almost always busy with little kids, making it noisy. Would also like to pass on a comment to the owners of 1205. The unit had an un- pleasant odour which we could not get rid of no matter how much we aired it out. Perhaps a cleaning chemical that had been used or caused by the volcano vogue! We would return to Kona and Sea Village again. and family! I can't say enough good things about our visit. You will not be disappointed. Loved the property and location. Was great to see dolphins right off the lanai. We were thankful to have the pair of binoculars that came with the unit. Just wish the air conditioner worked a little better. It never really cooled the place off and nights were hot in the bedrooms. We definitely stay there again. Having stayed at Sea village on previous vacations,we found each condo has its own unique view. We liked where 1205 is situated with a view facing town,and less sun exposure than building 4 where it can be too hot in the afternoon. We've been staying at Sea Village for several years. 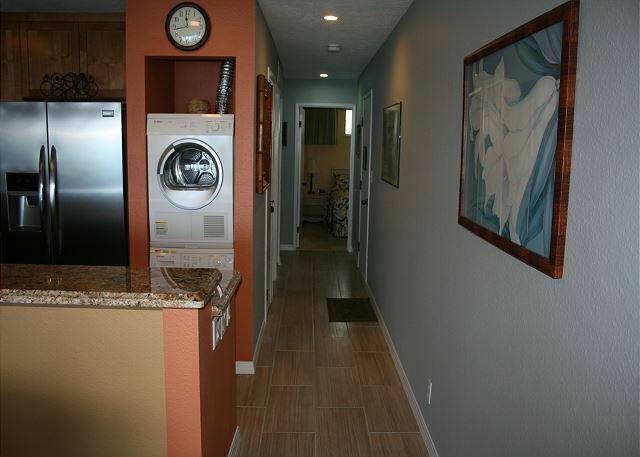 This unit is very comfortable with nice upgrades and amenities. Thank you very much for a wonderful vacation at the Sea Village. It was the first time we took a vacation as a family and the experience was terrific! Thanks to Sea Village 1205 Oceanfront, we all felt like we were at home. Meals on the patio over looking the ocean were our favorite. With a short walk to downtown we could get in a bit of exercise and enjoy the local shops. We had a very pleasant stay. We enjoyed our stay at the condo very much! Despite the weather it was nice to wake up and go out on the lanai and see the dolphins in the morning. At night we watched the thunder and lightening show from the lanai. It was just a few minute drive to Ali'i Drive. The view of the ocean from the lanai and pool area were beautiful and a great place to watch the sun setting. Our Sea Village condo provided everything we needed and more! The gorgeous turquoise ocean view from our living room and lanai was the perfect winter tonic for us. Our daily breakfast of sweetbread & coffee on our lanai, as we watched the yellow tang fish & bright blue uhu was heavenly. We also appreciated the professional manner in which our rental was handled. Mahalo nui loa! This is our third stay in this unit. The most recent stay, we were delighted with the improvements in the unit, and it was very clean and had everything we needed. The only disappointment was we were told that air conditioning had recently been added to the unit. However, it was not central air, but rather a cooling unit in the living area which did not cool very well. We have stayed at Sea Village several times and will happily return next year. The condo was expecially well furnished this year and the kitchen supplied with every need. it was absolutely the best holiday we have had lately, the only complaint was that i picked 1205 sea village because the 2nd bedroom had twin beds, but when we arrived that was not the case, it was a double, so my son had to sleep on the floor, but the place was fabulous, just renovated. There was heavy construction going on during our stay, which we were not informed of. There was alot of noise and the balcony was a mess every day. We had to clean it up just to sit in the afternoon.If not for that it would have been much nicer.